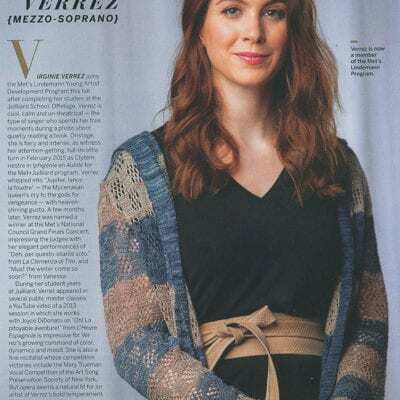 With a voice described as “silvery [and] dark-hued” and ” attractive throughout her range” by the New York Times, French Mezzo-Soprano Virginie Verrez is a rising star on the opera stage. 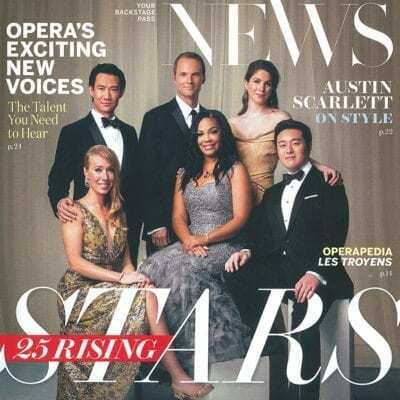 French mezzo-soprano Virginie Verrez is a graduate of New York’s Juilliard School. 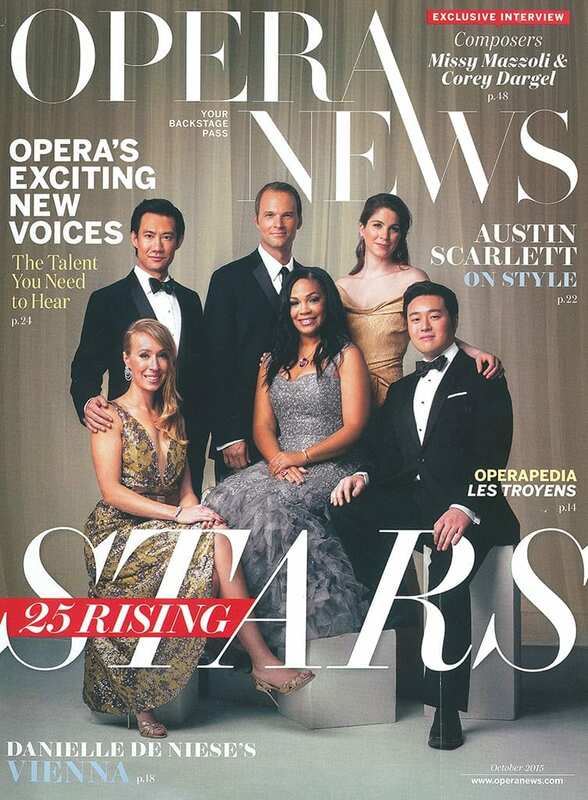 She is the winner of the 2016 Dallas Opera Guild Vocal Competition and a winner of the 2015 Metropolitan Opera National Council Auditions. She was a member of the Metropolitan Opera’s Lindemann Young Artist Development Program 2015-2017. 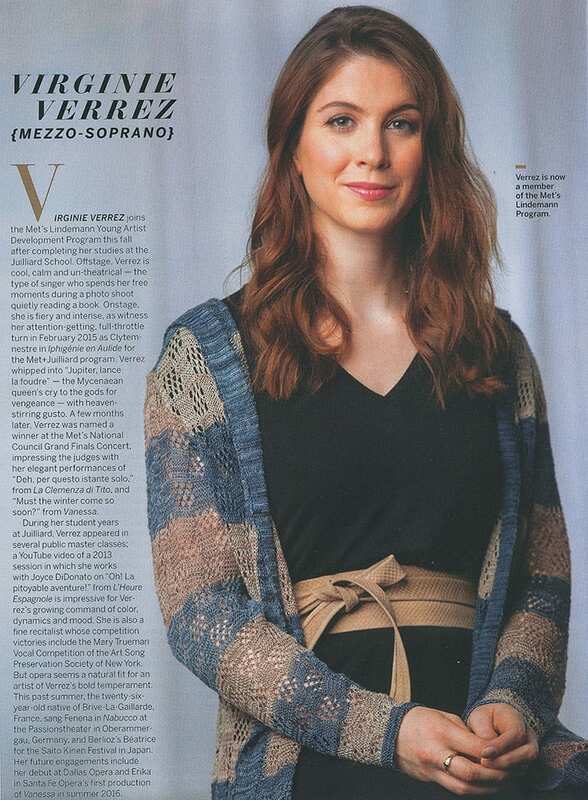 In the 2018/19 season, Virginie will join the ensemble of the Wiener Staatsoper where her roles will include Cherubino Le nozze di Figaro, Lola Cavalleria Rusticana, Idamante Idomeneo, Tisbe La Cenerentola and Meg Page Falstaff. She will also return to the Opéra de Paris as Flora Bervoix La traviata . Recent highlights have included Erika in Barber’s Vanessa at the Glyndebourne Festival and in Santa Fe, Zerlina Don Giovanni for the Dallas Opera, Dorabella Così fan tutte for L’Opéra de Lille, Mercédès Carmen for the Festival d’Aix-en-Provence and Stephano Roméo et Juliette for the Metropolitan Opera.